A Spanish NGO Thursday said it will halt its migrant rescue missions off Libya to support operations in Spain, as it denounced the "criminalisation" of humanitarian groups in the Mediterranean. 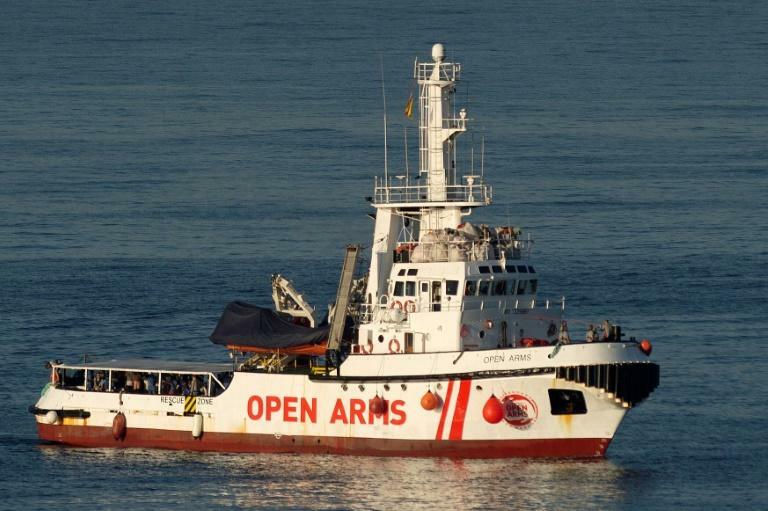 Following a rise in migrant arrivals on the Spanish coast, Proactiva Open Arms said it will join rescue operations carried out by the Spanish coastguard in the Strait of Gibraltar and the Sea of Alboran, which separate Morocco from the EU member state. It will begin work in Spain in the next few weeks and stay "as long as migratory pressure lasts," it said in a statement. The decision comes after tensions over migration in Europe saw Malta and Italy repeatedly close its ports to NGO ships crisscrossing the Mediterranean to help migrants at risk. Proactiva Open Arms has been forced to land migrants rescued off Libya three times in Spanish ports. Rescue boats which pull migrants from dangerously overcrowded boats have faced criticism from European politicians for aiding people traffickers. Last week three volunteers on the island of Lesbos in Greece were arrested on suspicion of helping illegal migrants to reach the country in an operation that involved 30 NGO members, police claimed. Nearly 28,000 illegal migrants have arrived on makeshift boats on the Spanish coast since January, close to the total number of arrivals for all of 2017 on both land and sea, according to the International Organisation for Migration.